Much of what makes Utah's skiing so fantastic is the close proximity of its resorts and the unique qualities that can be experienced at each. Skiers and snowboarders who truly appreciate the variety each resort has to offer take advantage of the Ski Utah Silver and Gold Passes. Limited quantity available. If you would like to purchase a Gold or Silver Pass, please fill out the pass request form and you will be contacted shortly. The Ski Utah Gold Pass is the only fully transferable Utah season pass. Looking for the most exclusive season pass just for you? In addition to great skiing and snowboarding, the Silver and Gold Passes are also valid for summer lift access at many resorts. 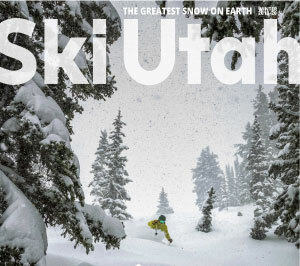 The Ski Utah Silver and Gold Passes are honored following Utah resorts: Alta, Beaver Mountain, Brian Head, Brighton, Deer Valley Resort, Eagle Point, Nordic Valley, Park City, Powder Mountain, Snowbasin, Snowbird, Solitude, Sundance, *NEW* Woodward Park City.